Here at Plumbline Plumbing, we understand that your plumbing is easily one of the most important parts of your Paradise, Magalia, or Chico home. 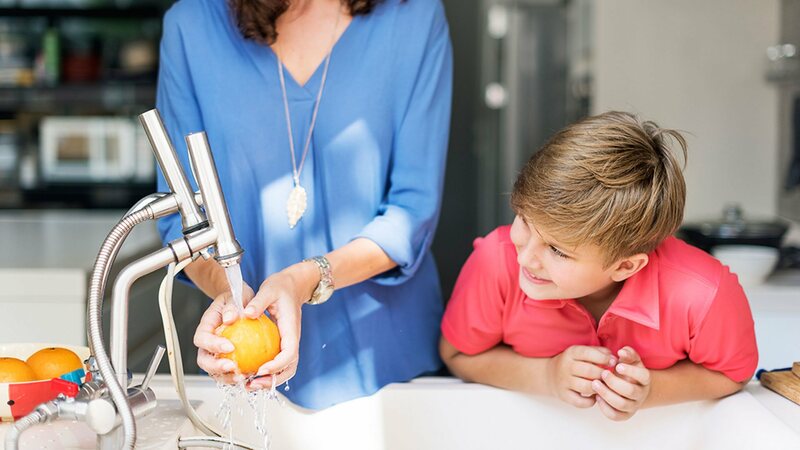 You and your family make use of your plumbing on a daily basis for a variety of different tasks, whether you are cleaning, cooking, or enjoying a nice soak in the tub at the end of a long day. Because your plumbing is such an important feature of your home, our team of professional plumbers here at Plumbline Plumbing want to do everything in our power to make sure you have the quality service you need, whenever you need it, to keep your home's plumbing in the best shape possible. 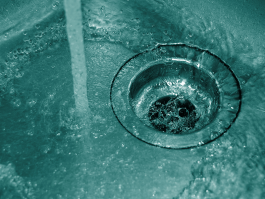 We offer a wide range of high quality plumbing services, ranging from plumbing repairs, to water heater replacements, and even high quality drain cleaning solutions to keep everything flowing like it should. We strive for superior service and results in every job we are called on to perform, and we even offer a full line of 24 hour emergency services to help you resolve those issues that absolute won't wait until Monday morning comes back around. Here at Plumbline Plumbing, each and every one of our professional plumbers are fully licensed, bonded, and trained in the field to deliver unmatched quality work in every service we are called on to perform. You and your family rely on your plumbing system on a daily basis, which is why our Paradise Plumbing Company is prepared to do everything in our power to keep your home's plumbing system running its best at all times. For quality plumbing services you can always count on, give our team of professionals a call today and let us schedule your service appointment. At some point during your time as a homeowner, you are going to find yourself with plumbing issues of some kind. 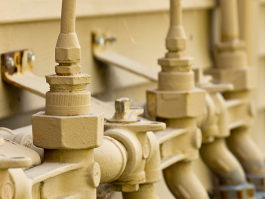 Hopefully they won't be anything serious, but whether they are or not, you are going to want to have a professional plumber that you can call in the event that something happens. Even the smallest plumbing issues can lead to serious damages given enough time, and here at Plumbline Plumbing, we want to do everything in our power to spare you that misery. 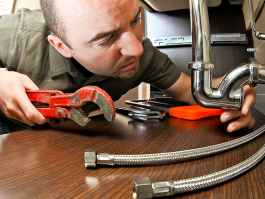 Our team of professional plumbers can provide you with a wide range of plumbing repair services, whether you are looking to have a water leak resolved, you have a clogged drain that needs to be cleared, or you need to have the pipes of your system completely replaced due to age or damage. No matter how big or small the issue might be, our team of professionals can provide you with the quality service to see it done. Here at Plumbline Plumbing, we utilize Biosmart cleaning solutions in a great deal of our plumbing work. Biosmart cleaning solutions, like their name implies, are biological cleaning solutions that are both highly effective and environmentally friendly, thanks to their special blends of good bacteria and enzymes. 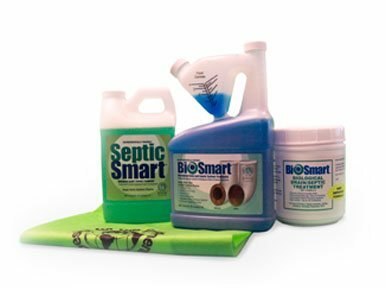 Biosmart cleaning products are very effective in helping to both protect various elements of your plumbing system from degradation by harmful microbes, and to eliminate unwanted microbes that break down over time and cause foul odors from within your system. If you are curious about how Biosmart cleaning solutions can benefit your home, give our team of professionals a call today. 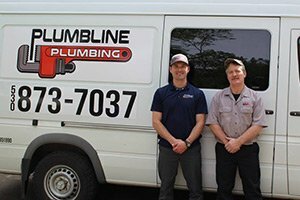 Here at Plumbline Plumbing, our team of experienced plumbing professionals do our best to stay up to date with all of the most advanced techniques and technologies in the industry to ensure we are able to provide you with the high quality plumbing services you need, right when you need them. We offer 24 hour emergency service, so you never have to feel stuck waiting until normal business hours while you have a serious plumbing issue present in your home. All of our professional plumbers are fully licensed, bonded, and experienced in the field, and we are absolutely dedicated to providing you with the highest quality workmanship and results, no matter how complex your plumbing issues might be.